Whether you're here for work, family, or even if you just need a place to stay while your home is remodeled, Ladera Tower offers Short Term Lease options. Take part of everything Ladera Tower has to offer in your fully furnished 3 bedroom home away from home. All utilities are included, along with basic cable. Retal rate is $3,000 inclusive of power, water, basic cable and furniture. Internet and telephone can be added for an additional fee monthly. Tenants with per(s) up to 2 dogs or cats (maximum 25lbs/11kg) are welcome to stay in units on the 2nd to 4th floors, at a rental rate of $2,200 per month for a 3-bedroom unit and $2,500 for a 4-bedroom unit. Looking to upgrade? Been needing more space? Call us today and see what we have to offer. Total square footage: 3,512 including balcony and terrance. Rates starting at $3,800. Ladera's 3 bedroom condos are an ample 1,545 square feet, with plenty of room for you and your family or guests to spread out. Each unit features 2 full bathrooms, a jacuzzi in the master bathroom, washer & dryer hookups, dishwasher, and a large refrigerator. Rental rate ranges from $1,900 to $2,450 monthly. 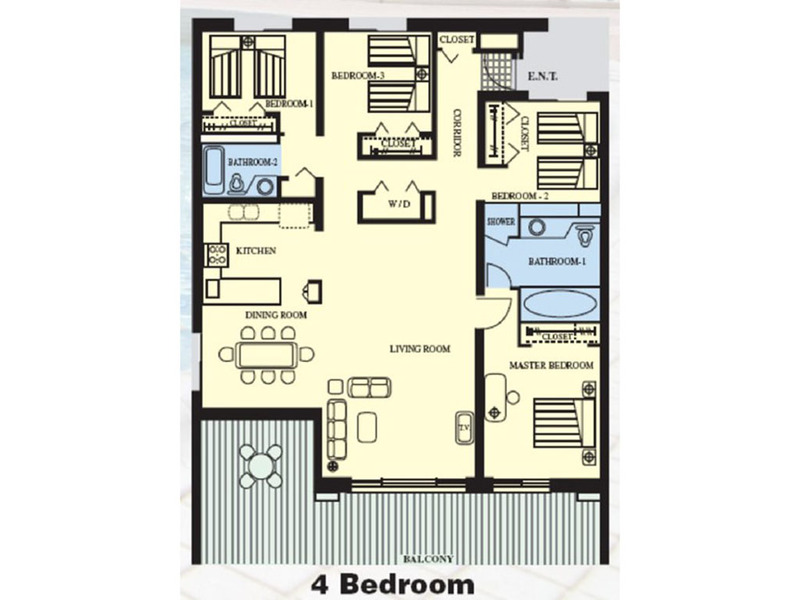 Enjoy room to spare in our 2,203 square foot 4 bedroom end units. 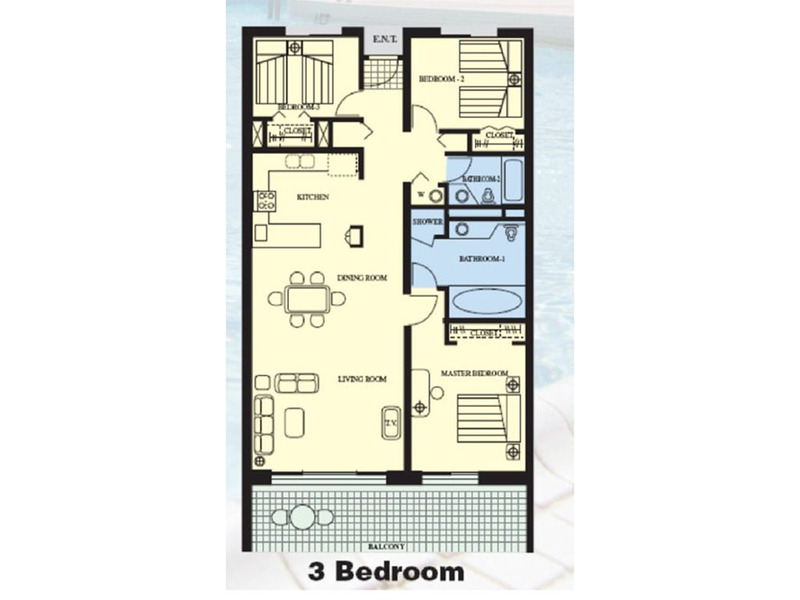 These condos feature a spacious open living area, jacuzzi and walk-in shower in the master bathroom, and a large balcony, perfect for entertaining friends and family. Rental rate ranges from $2,300 to $2,500 monthly. © Ladera. All rights reserved.